Liam has over 25 years’ experience in financial model development / auditing, valuations, M&A, strategy, training and consultancy. He has considerable experience in many different sectors (e.g. banking, energy, media, mining, oil and gas, private equity, transport and utilities). Liam has headed Ernst & Young’s modelling team in Melbourne and was an Assistant Director in their strategic valuations team in London. He was also a senior member of the UK Post Office’s M&A and strategy teams, and has worked for / assisted various other Australian modelling companies including BPM, Corality, Navigator Project Finance, PKF and SumProduct. He has worked in the UK, Australia, Belgium, Denmark, France, Germany, Hong Kong, Indonesia, Malaysia, New Zealand, Switzerland and Vietnam, with many internationally recognised clients, constructing and reviewing strategic, operational and valuation models for many high profile IPOs, LBOs and strategic assignments. He is a regular contributor to the Institute of Chartered Accountants in Australia (ICAA), Certified Practising Accountants Australia (CPAA), the Chartered Institute of Management Accountants (CIMA), Finance 3.0 and various LinkedIn specialist discussion groups. He is also an experienced facilitator for ICAA. Liam is a Fellow of the Institute of Chartered Accountants (ICAEW), a Fellow of the Institute of Chartered Management Accountants (CIMA) and is a professional mathematician. Yigal is the Group Program Manager for the Office BI team. Yigal joined Microsoft back in 2002 and played leading Program Management roles in several Microsoft products, including ISA Server (now known as Forefront Threat Management Gateway), Desktop virtualization (MED-V), and Windows Server. Prior to joining Microsoft, Yigal was VP R&D of Finjan Sofware, working on Internet security in the early days. Yigal holds a BA degree from the Bar Ilan university in Computer Sciences, Economics and Philosophy. I read Agricultural Economics & Business Management at University and first became involved with computers when my Honours thesis was building a Linear Programming model of the University farms enterprises. I then joined a consultancy company using Linear Programming before moving on to join a company involved in genetic improvement of Livestock, where I became UK General Manager and was involved with all aspects of business management, and responsible for a staff of 180. In 1978, when microcomputers first appeared in the UK, I became involved in computing again and developed software for the Agricultural sector. I became Commercial Director of a software company serving Agriculture throughout the UK, especially in the areas of Accounting, Payroll and Property Management. When the business was sold in 1996, I became an independent IT Consultant, and started to work exclusively with Excel. I have developed solutions for all types of companies worldwide using both formula based, as well as writing VBA to produce totally automated control systems. I participated in numerous Newsgroups and Fora, helping others with their Excel problems and in 2007, Microsoft awarded me MVP status, and have done so again for each of the past 8 years. 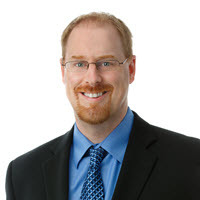 Ken Puls, CMA, CPA is a professional accountant who lives in British Columbia, Canada. By day Ken works full time as the Controller and Director of IT for the Fairwinds Community & Resort on Vancouver Island, helping manage the companies interests in the golf, food & beverage, real estate, fitness and marina industries. On evenings, weekends and vacation days, Ken turns his attention to running Excelguru Consulting Inc, a company dedicated to helping users learn to be more efficient with Excel. Ken’s website, blog and help forums can be found at www.excelguru.ca, but you can also find him in several Excel training videos and teaching live courses. His work has even reached out of our own atmosphere when NASA implemented some of his code to help manage systems on the International Space Station! Ken’s efforts have earned him the Microsoft MVP – Excel award every year since 2006, as well as the recognition as one of Vancouver Island’s “Top 20 Under 40” business and community leaders in 2013.